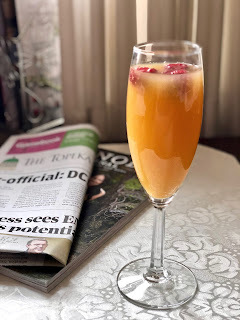 Are you looking for a special drink to have with your sweetheart on Valentine’s Day this weekend? Or maybe you're tired of the winter weather? I've found the cocktail to solve both problems. 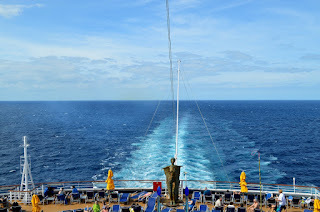 I recently returned from a cruise onboard the Carnival Dream. This is the second year I’ve traveled with this cruise line, and I’m happy to report I the second time was as fun as the first. This year I sailed from New Orleans (a city in full Mardi Gras form) to Key West, Florida, and the Bahamas. That caught my attention! After I tried one, I was hooked. 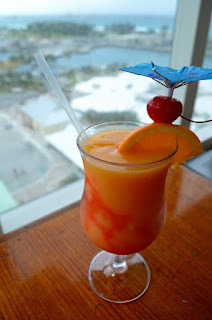 The blend of mango and peach schnapps made a delicious tropical combination. The Dream’s beverage manager, Clifton Morrison, made sure I got the recipe and said I could share it with you. This is a drink I plan to enjoy often. 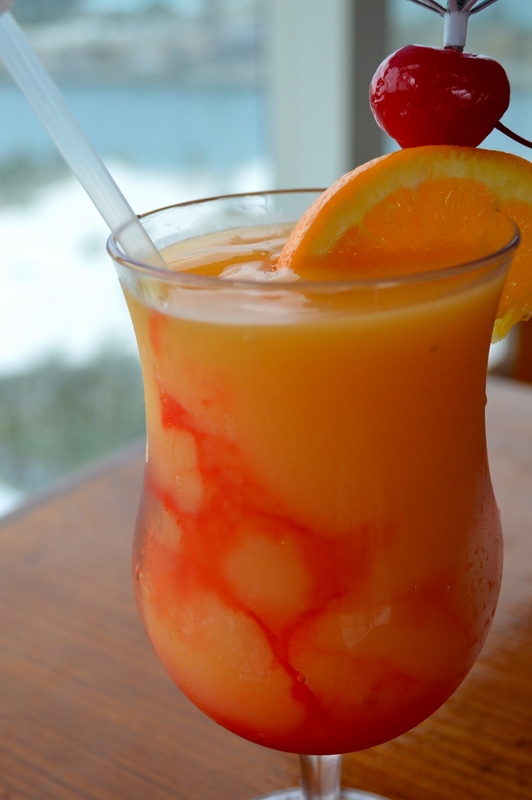 Pour the peach schnapps, mango mixer, and some ice into a blender. Puree until smooth and slushy. Pour the grenadine into the bottom of a cocktail glass. Pour in the mango mixture. Serve with a slice or orange, a cherry, and an umbrella. I'm delighted to hear you went on a cruise again. That's wonderful!!! Very cool drink you managed to snag too. I adore peach schnapps!! !